Wood floors don't figure into my work very often, but that's a function of where I live more than anything. 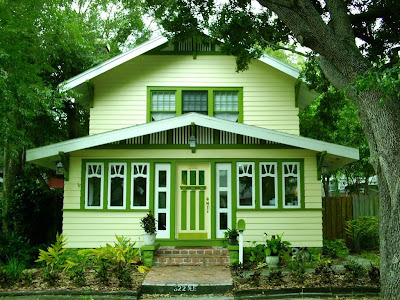 A traditionally-built, wood frame house in Florida has heart of pine floors. In what's called a Cracker House, wood floors were necessary because Cracker Houses never sit on the ground. Instead, the floor joists rest on pilings that raise the house a foot or so off the ground. That the floor joists span the distance between pilings means that this construction method calls for a flooring material with a lot of give. Believe it or not, this house is not sitting on the ground. Building homes on concrete slabs started to catch on in the 1950s. With the arrival of the slab, terrazzo, stone and ceramic tile floors became the default floors in this part of the world. So while folks in more northern climates were thinking of tile floors as exotic, people here were looking for something new. Enter the wood floor. Wood floors figure into around 10 percent of my projects and when I get to specify a new one, it's a bit of a big deal. I've been trying to find the perfect floor for a project and I keep coming back to walnut. Walnut's my favorite hard wood and a walnut floor is a thing of such staggering beauty it makes me... it makes me... it makes me stagger. The floors I'm specifying are to come from Carlisle Wide Plank Floors in Stoddard, New Hampshire. Their website is beautiful and all of their offerings are gorgeous, not just the walnut. Carlisle Wide Plank Floors were unknown to me until a week ago and what a find. If you want to look at some great inspiration photos of some beautiful floors, check out their site. Better yet, if you're in the market for a new floor, consider Carlisle. Mine too, obviously. No other material and no other wood has the depth and warmth of walnut. What a home! I Just love it. I'm diggin the windows on the front of the house. Thanks for the comment Laura. That house is down the street form me. Those windows are original and they are the most unique I've ever seen. I absolutely LOVE walnut flooring. We installed installed heritage grade walnut in our loft -- I think it's the most beautiful floor ever!! The planks are 4-1/2" wide and all different lengths. The knots and the variation in colour (from cream to dark brown) add so much character.